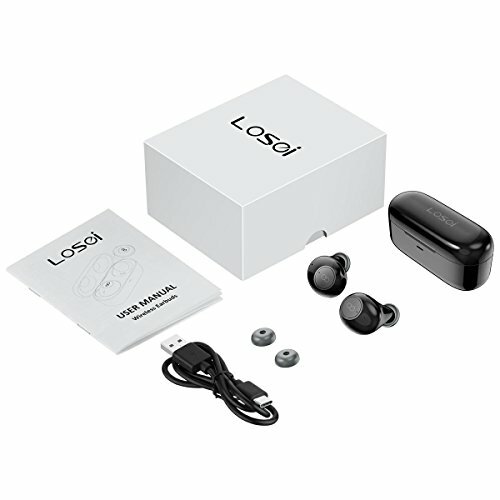 [Super Sound Quality] High-fidelity Stereo Sound with ATS2823B High Quality Bluetooth Chip, Which Eliminate Noise and Echo. DSP-Equipped audio processor, Provide Bass Sound . You will be immersed in Music World. 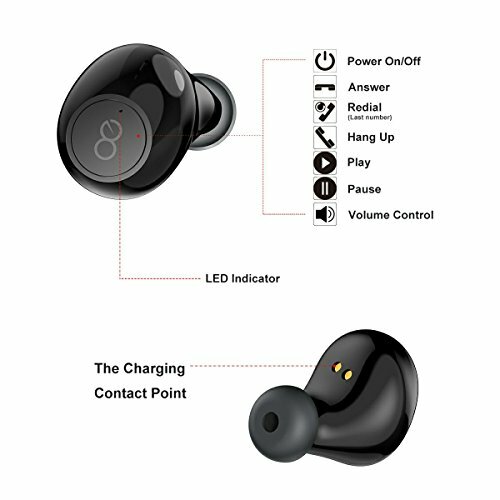 [Lightweight and Portable Charging Case] Equipped with 500 mAh Battery Charging Case, Which Can Provide 3-4 times Full Charge for the Wireless Earbuds. You Can Put the Charging Case into your Pocket. No Burden and Never Worry About the Battery Problem. 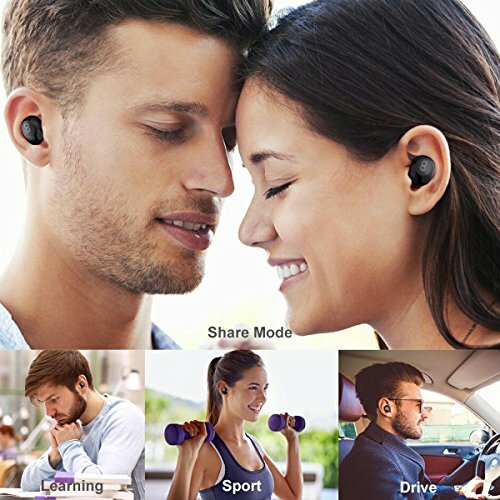 Perfect for Sports, Cycling, Camping, Hiking, Driving, Jogging & Gym Exercise, Long Travelling . 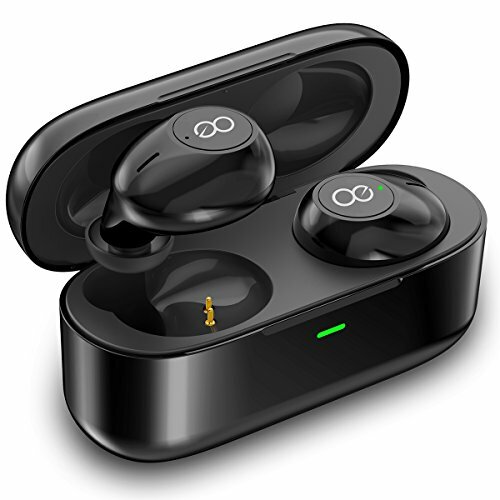 [Fast Pairing and Volume Control] Hold Down the Wireless Earbuds MFB for 2 Seconds, the Twins Earbuds Will Connect With Each Other Automatically. 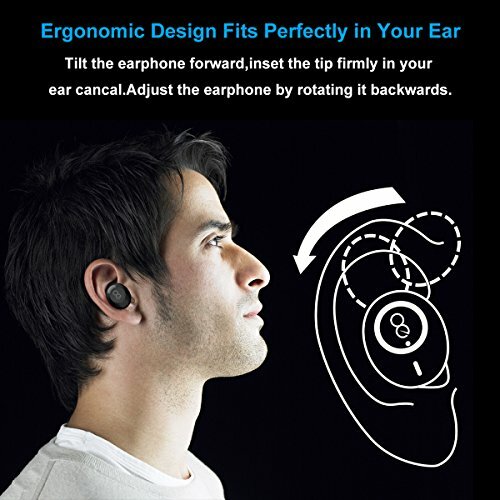 After Pairing with your Device, You Can Adjust the Volume from the Earbuds. Don't’ Need to Use the Phone Anymore. [V4.2 True Wireless Technology] Get rid of the Line Trouble. 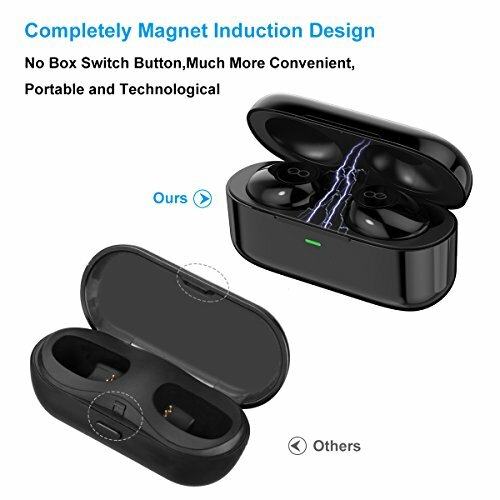 Provide Faster Pairing, Stable Connection, Wireless Range up to 10 meters if no Obstructions. 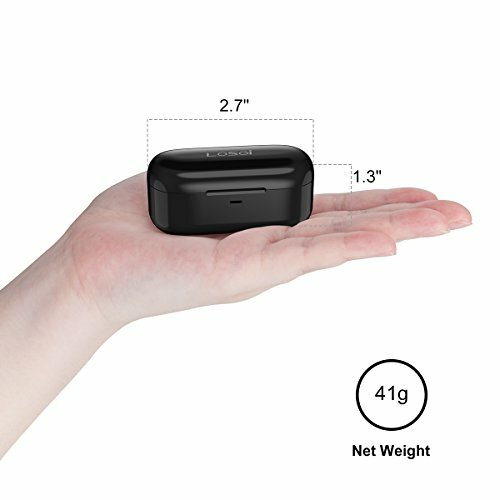 [Wide Compatibility] Compatible with iPhone X/8 Plus/8/7 Plus/7/6S Plus/6S/6/5S/5/iPad/iPod/Samsung Galaxy S8/S7/S6 , Huawei, LG G5 G4 G3 Android Phones/pads and Other Bluetooth Enabled Devices.